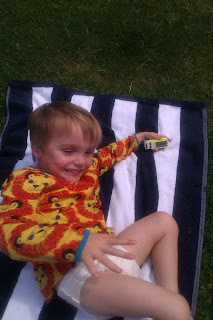 The Campervan Lunch Bag - looks great and personalised so doesn't need labelling for school. I love the personalised Lunch boxes! As my son attends a special school everything has to be labelled as he can't accept ownership of anything, so for me the labels are great. I especially love the endless summer range. I like the laundry hamper. Ideal to keep things neat and tidy. Also has several uses! I love the cushions ( I have a thing for cushions) but these are a bit special! 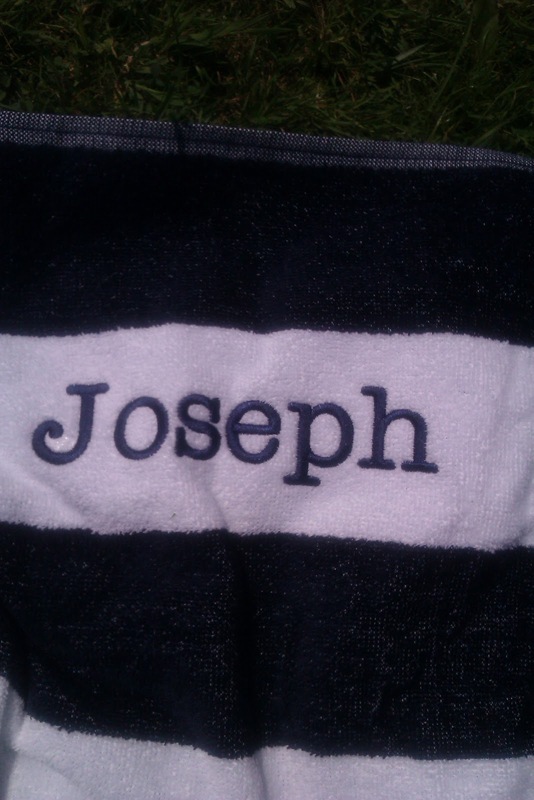 I like the navy and white personalized beach towel. The Personalised Teddy Bears are very cute. The stainless steel drink bottles are great! I like the sports bags. 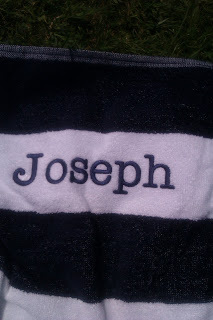 This towel would be ideal as we go swimming every week and having a name on it as personal touch. I really like the personalized drink bottles. Personalised wooden puzzles are soooo cute! 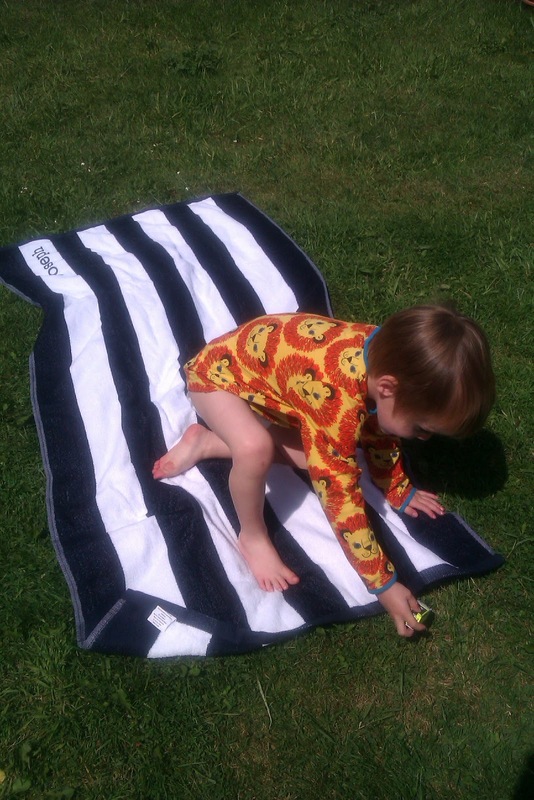 Beach towels are great. No excuse for losing them when they are personalised! The teddies are very cute! What a fab towel, and easy way for a child to know which towel is theirs. This would be fab on school trips in the future! Morning, lovely site,"wooden number puzzles", great educational fun toy for Lily, learn and play! I love the personalised bath robes. So cute! Personalised wooden puzzles they're fab. The wooden puzzles I love em! I love the personalised wooden puzzles! i love the party in a cup range- very different and fun! Love so much from Stuck On You but really loving the personalised height charts! you for sharing to us. Please one more post about that..
chance to thank for such a large number of great substance, weblog to examine with us.